Register and Pay for Online Distant Healing. IMAGINE THE CHANGES IN YOUR HEALTH AND LIFE, NOW! 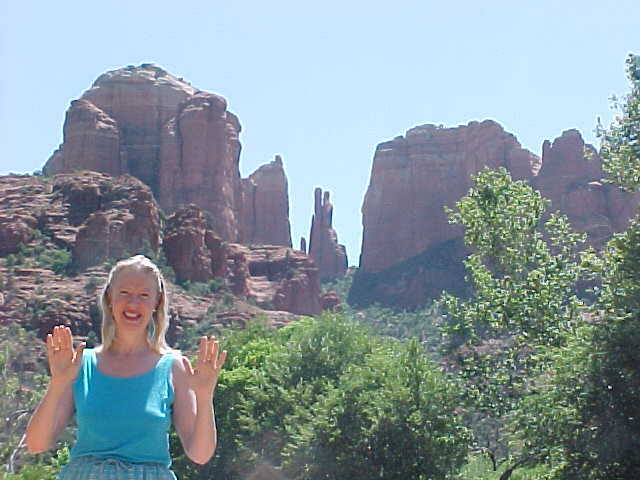 Reiki Healing at Cathedral Rock Vortex in Sedona. Your cost for one Distant Reiki Healing Session by Melinda is $35.00. It is $35 for the first session and $88 for three additional sessions. Click on PAYPAL button to pay by credit card. E-mail us the time that is convenient for your distant healing treatment and we will acknowledge by email. ©Copyright 2002-2009 Intercontinental Reiki Fire Training. Last updated 02/17/09.